Dabbs Rehab Center of Maryland provides expert functional medicine, chiropractor, physical therapy and medical services to individuals and families throughout Howard County, including Columbia, MD and the surrounding region. We are a group of chiropractic doctors, physical therapists and medical staff, who are dedicated to providing you with tailored chiropractic, physical therapy, spinal decompression, and cold laser therapy and other treatments that lessen or eliminate your physical pain and rehabilitate your joints and muscles, leading to a marked improvement in your overall physical wellbeing. We listen to your concerns and offer you our recommendations on the natural and safe treatment that will effectively improve your condition. Now also helping people with diabetic peripheral neuropathy and more! There are many physical symptoms for which individuals may seek our services. We address a variety of conditions that affect the body and its nervous system, including back pain, neck pain, ear infections, headaches, neck pain, bulging and herniated discs, carpal tunnel syndrome, auto accident injuries, whiplash, pinched nerves, sciatica, scoliosis, knee pain, foot pain, diabetic peripheral neuropathy, TMJ and much more! Are you in pain? With our comprehensive and holistic approach WE HAVE A SOLUTION to help you regain your health. Our doctors provide experienced and individually tailored chiropractic adjustments to help release spinal joints and lessen disruption to your nervous system. Our adjustments are carried out with care and are highly effective. Our clients return to us on a regular basis due to the pleasant experience and successful treatment they receive during their adjustments sessions. Our mission is to help you be your healthiest self, and we aim to do that in a way that is affordable. We are happy to work with you to create a payment plan that works for you. We also accept most insurance plans. 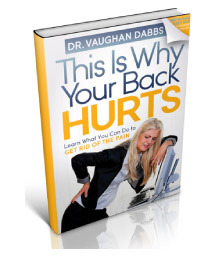 Please contact our Dabbs Rehab Center of Maryland chiropractic practice to inquire about your specific plan. We are ready to help you achieve greater total body health. For additional information about our comprehensive Columbia chiropractor services, call us today at (410) 720-5555. Initial Office Visit Valued at $230! 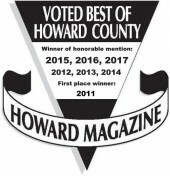 Proudly serving Columbia, Catonsville, Laurel, Jessup, Savage, Silver Spring, Clarksville, Ellicott City, Sykesville, and Marriottsville.